Even though these beauties are not difficult to grow, you should follow a few guide lines to make your blooms last as long as they can! Peonies like a lot of sun -- at least six hours a day. 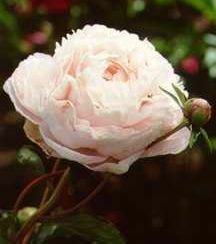 Locate them in a sunny and protected bed or border (gusting warm winds can wreak havoc on peony blossoms). In general, morning sun is best. In warm climates, provide afternoon shade. Locate peonies in a bed with fertile, well-drained soil. If their place in the garden is on the wet side, add sand to help facilitate drainage. To check your soil's pH, you can perform a soil test yourself or contact your local County Extension Service for assistance. Peonies grow best in zones 2 through 8. In southern climates, where temperatures remain warm through winter, hold off planting peonies until late fall (October or November). The best peonies for the South are early-blooming varieties, such as ‘Festiva Maxima,’ ‘Big Ben,’ ‘Monsieur Jules Eli,’‘Miss America,’ and single ‘Friendship Hybrid.’ Plant eye divisions no more than an inch deep in warmer climes, and don’t forget to amend soil with a handful of bone meal. Because peonies need winter chilling, some Southerners report great success in supplying winter’s chill by dumping a pitcher of ice water on plant roots daily during late December and January. Since their shrub-like foliage is 2 to 4 feet tall, peonies make exceptional hedges or back-of-the-border plantings. They also retain their glossy, green foliage after blooming and until frost. Plan your site with their growth habits in mind. You will need have enough room to account for its mature height and width. Peonies can reside in the same spot for years. But if they stop producing large numbers of blooms, it’s time to divide them. For best effect, plant peonies with other perennials that bloom at the same time, such as baptisia, alliums, and delphinium. Plant several early, mid- and late-season bloomers to stretch the length of the peony presence in your garden.